Dubai, UAE, April 16, 2018: Finding stylish and functional accessories for your little one shouldn’t be a chore, and with Aussie-owned Penny Scallan Design now available in the Middle East, the task has been made so much easier for parents and gift givers alike! 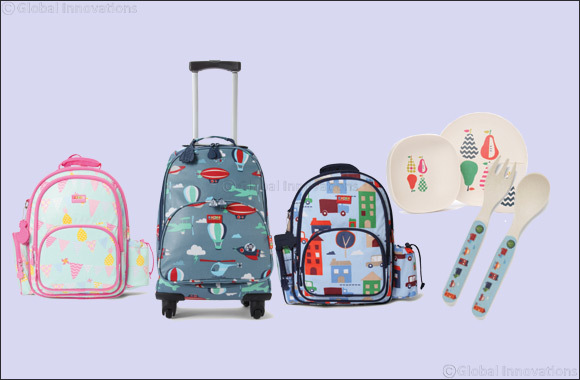 With a beautiful range of the loveliest lunchboxes, roomiest backpacks, the most eco-friendly mealtime sets and much more, Penny Scallan Design is your one-stop-shop for children’s lifestyle pieces. From babyhood through to the school years, Penny Scallan Design’s products withstand all of the rigours of a child’s day and are an essential part of every family’s life. A focus on style and functionality ensures Penny Scallan Design stands head and shoulders above the rest with an array of bright and unique quality pieces that allow your child’s personality to shine through. Whether you are looking to update your child’s school bag and lunchbox, or even gift a little loved one, each Penny Scallan Design piece is practical, useful and incredibly cute.